LUHANSK, Ukraine -- A prominent separatist commander in Ukraine's Luhansk region has reportedly been killed after his car exploded as he was on his way home from his own wedding. 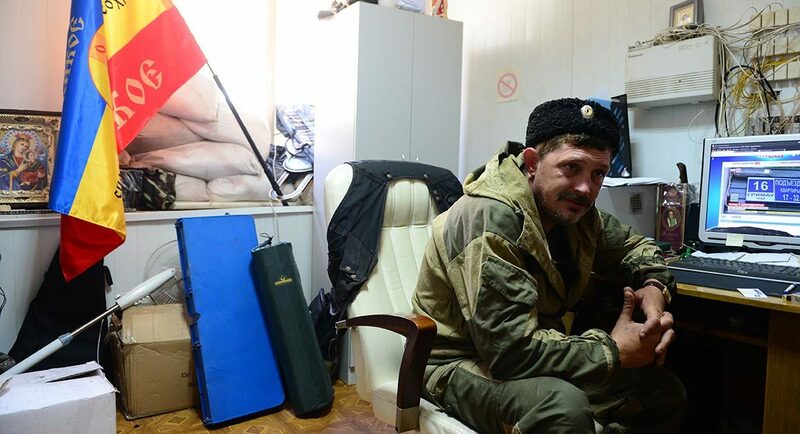 Separatist news sources said Luhansk Cossack leader Pavel Dryomov was killed in the December 12 explosion on the Pervomaisk-Stakhanov motorway near Luhansk. The Russian news agency Interfax said the report of Dryomov's death "is being verified." According to the Russian Spring separatist news site, Dryomov married a woman from St. Petersburg on December 11 and was killed the following day after returning from an all-night celebration. His driver was also killed in the incident. British journalist Oliver Carroll, who interviewed Dryomov for Politico in November 2014, posted on his Twitter account that Dryomov was "outspoken" in his opposition to the Moscow-dependent hierarchy in the separatist movement and believed he might be killed, just as Luhansk separatist commander Aleksei Mozgovoi was killed in May.